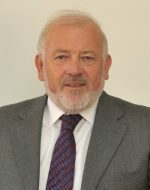 Chris has extensive experience of corporate and commercial matters, particularly in relation to company and business acquisitions and sales of both public and private companies, joint ventures, shareholder disputes, corporate reorganisations, insolvency, banking and taxation. He also advises on construction law, sports law, aviation law and administrative law. He has assisted a number of entities including banks, captive and general insurance companies, offshore financial services companies, international funds and ship management companies to establish themselves in Cyprus and continues to advise them on corporate matters, tax and regulatory compliance. He has advised foreign financiers on a wide range of issues relating to foreign lending in Cyprus with respect to borrowings by the Cyprus government, government institutions and local companies. Chris is playing a central role in the development of sports law in Cyprus and is currently a member of the International Court of Arbitration for Sport (CAS) in Lausanne, chairman of Judicial and Disciplinary Committee of the Cyprus Swimming Association and of Cyprus Sailing Association and President of the Anorthosis Famagusta Football Club.